Come and experience South African Hunting Safaris like never before. Every hunter has daydreamed of travelling to Africa, tracking spoor across the plains and coming upon an animal to hunt. Why daydream when you can do the real thing in a nation filled with legal hunting opportunities? South African hunting safaris are completely legal and with many hunters travelling to these shores to experience a thrill like no other, you can soon be on the first airplane out. The vast wide open plains of Southern Africa offer you a glimpse back in time to when wild animals roamed the area uninhibited. While today Southern Africa is more of an urban landscape, there are still plenty of places to experience a real African hunt. Hunting in South Africa, Mozambique and Botswana remain hugely popular with overseas professional, hunters as well as locals. Those who sign up for adventures usually leave with a bounty of trophies showcasing their skill and providing them with memorabilia they can admire. South African hunting packages are available from many companies like Arc Safaris but it is important to make sure that you take a deal from the right one. It is also important to do you research and find out which animals and which hunting techniques are legal in the country. The hunting industry in South Africa is not without its troubles. Every year the industry experiences renewed criticism. Nevertheless, hunting in South Africa is legal and is usually done responsibly. Each year thousands of hunters visit the country to experience something that they have always wanted to be a part of. When hunters come to South Africa, their hunts are well documented, a hunt is never a hidden activity. The South African hunting industry is a mixture of business and pleasure with a conservation always being at the forefront of those working in the industry. Hunting might continue to get a bad reputation but it is something that actually goes a long way towards aiding conservation. Hunting keeps the population in check. 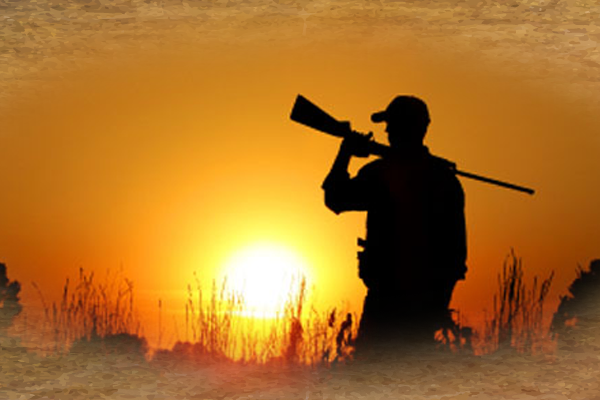 African hunting outfitters and companies based in South Africa are governed by strict laws and restrictions that ensure that your hunting trip is legally sanctioned. Did you know that plains game, consisting mostly of antelope, currently occupy more land than commercial farming animals? Many animals have been brought back from extinction due to hunting, highlighting the importance of this pastime for the conservation efforts. Big game hunting in Africa is not the only reason for hunters to visit the country. Many of South Africa’s antelope species are also attractive to those looking to have a unique trophy gracing their walls back home. Blesbok, Impala, and Kudu are just a few of the buck that you can hunt when in this country. The bigger game, such as buffalo, is also one of the much sought after hunting trophies. Hunting in South Africa offered by companies usually include packages for the bigger game. Big game hunting is a dangerous activity, a factor that does increase the excitement of being in the midst of majestic creatures such as the Cape buffalo. Africa hunting safaris are divided into two groups, based on the kind of game you will be hunting. There is plains game and there is dangerous game. Suitable for hunters who are new to the activity, plains game hunting is the starting point for many hunters. Plains game include Wildebeest, Blesbok, Duiker, Giraffe, Impala, and Klipspringer. Plains game hunting in South Africa is an incredibly affordable way to enjoy the hunting experience and take home a memorable trophy. The prices and packages are certainly going to give you plenty of time out in the bush, tracking your prey while humbling you to the experience. Competitively priced plains game hunting safaris in South Africa cost not much more than a hunting expedition in the United States, while giving you infinitely more to look forward to. Plains game hunting allows you to use a number of different techniques to carry out the hunt, giving you the chance to flex your skills and maybe even learn something new. The landscape is also more diverse, which will again be a test of your skills. For the more experienced hunter looking for the ultimate challenge of skills and endurance, there is dangerous game hunting. It requires meticulous preparation with the hunt requiring all of the right equipment at hand. The animals considered to be dangerous game don’t go down without a fight. The Cape Buffalo, in particular, can be a vindictive and cunning beast, patiently waiting to strike once it has been wounded. Buffalo hunting remains one of the most dangerous for hunters. 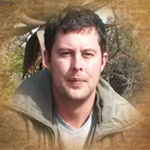 Dangerous game hunters need to be skilled and comfortable with their equipment. You want to walk away from this kind of hunt with a stunning trophy and nothing less. When hunting animals considered to be dangerous game, it can often be a hair-raising situation. To ensure that you have a successful hunt, it cannot be mentioned enough that you need to have a thorough knowledge of your weapon and be completely comfortable with it. There is only one adrenaline filled chance to get that perfect shot. You cannot waste it by not being proficient with your rifle. Depending on the game you are looking to hunt, the prices of your South African hunt can differ. The cost of a hunt not only include the game but also accommodation and other luxuries for your comfort. Hunting safari companies, such as ours, have many deals for the various hunting trips available. Tracking through the South African bush, keenly looking for wildlife is a surreal experience. Hunting in South Africa is something that every professional hunter should do. Sign up for a real hunting safari experience, led by a team of passionate expert hunters who spend every day in the midst of the wildlife that will soon surround you. Contact us to book your African hunting safari and visit the rest of the website to start your planning. Justin from Arc Safaris was the perfect host and with the whole team going out of their way to make sure that I truly enjoyed my safari. I was able to take great trophies and I am planning to return to hunt some of the tiny ten with Justin in the near future.